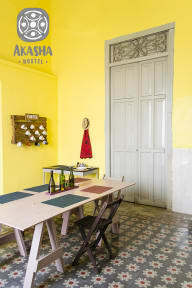 Akasha is located just a few steps from Paseo de Montejo and a few blocks from the central square. You will find museums, art galleries, tourist attractions, cafes, restaurants and bars at your doorstep. 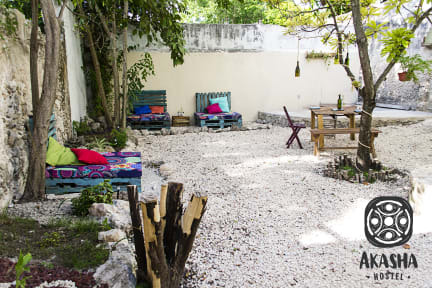 Enjoy our common areas including our beautiful garden where you can enjoy the warmth and good weather that characterizes this beautiful city. The rooms we have are mixed dormitories, a matrimonial private ensuite and a private twin room with bathroom. You have the choice of a room with air conditioning or ceiling fan. Check out between 8:00 am and 12:00 noon.